This custom-built home offers unique rooms, and then some! The large kitchen with dining room offers a great setting for entertaining, there is a family room, living room, large utility room, 3 bedrooms, and 2 full bathrooms, plus a loft! 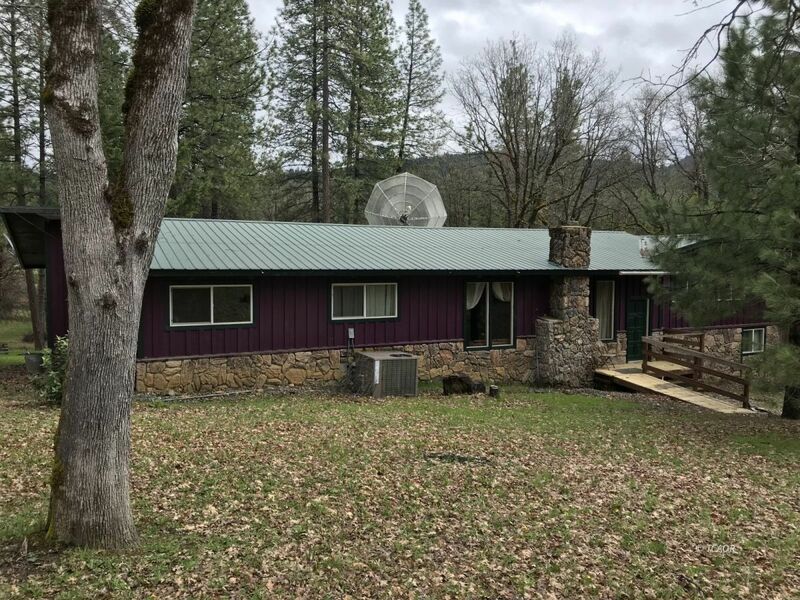 There's also a separate unit for guests to be comfortable when they visit with full bathroom and 2 bedrooms, kitchen, living room, and a large covered deck... Several outbuildings and carports for extra storage. The property is mostly useable so bring the critters, lightly treed, and nicely cleared for fire safety. It's great land, and located on county-maintained road just at the edge of town for ultimate convenience. With rustic, but custom, features throughout, this home offers character that isn't common in most homes. Most of the interior is wood, exposed pole beams, and has some custom features throughout. The home does have some projects that need attention so be ready to give some TLC. You have to see this place to appreciate all that it has to offer! Seller is willing to look at all offers! Don't miss out on a real Diamond in the rough!